Plato: “The allegory of the cave” (Republic, VII), “Behold! Human beings living in an underground cave, which has a mouth open towards the light and reaching all along the cave; here they have been from their childhood, and have their legs and necks chained so that they cannot move, and can only see before them, being prevented by the chains from turning round their heads. “Behold! Human beings living in an underground cave, which has a mouth open towards the light and reaching all along the cave; here they have been from their childhood, and have their legs and necks chained so that they cannot move, and can only see before them, being prevented by the chains from turning round their heads. Above and behind them a fire is blazing at a distance, and between the fire and the prisoners there is a raised way; and you will see, if you look, a low wall built along the way… and they see only their own shadows, or the shadows of one another, which the fire throws on the opposite wall of the cave… and of the objects which are being carried in like manner they would only see the shadows… And suppose further that the prison had an echo which came from the other side, would they not be sure to fancy when one of the passers-by spoke that the voice which they heard came from the passing shadow? To them, I said, the truth would be literally nothing but the shadows of the images… and now look again, and see what will naturally follow if the prisoners are released and disabused of their error. At first, when any of them is liberated and compelled suddenly to stand up and turn his neck round and walk and look towards the light, he will suffer sharp pains; the glare will distress him, and he will be unable to see the realities of which in his former state he had seen the shadows… Will he not fancy that the shadows which he formerly saw are truer than the objects which are now shown to him? And if he is compelled to look straight at the light, will he not have a pain in his eyes which will make him turn away to take and take in the objects of vision which he can see, and which he will conceive to be in reality clearer than the things which are now being shown to him? And suppose once more, that he is reluctantly dragged up a steep and rugged ascent, and held fast until he's forced into the presence of the sun himself… When he approaches the light his eyes will be dazzled, and he will not be able to see anything at all of what are now called realities. He will require to grow accustomed to the sight of the upper world… and if there were a contest, and he had to compete in measuring the shadows with the prisoners who had never moved out of the cave, while his sight was still weak, and before his eyes had become steady… Men would say of him that up he went and down he came without his eyes; and that it was better not even to think of ascending; and if any one tried to loose another and lead him up to the light, let them only catch the offender, and they would put him to death…. And is there anything surprising in one who passes from divine contemplations to the evil state of man, misbehaving himself in a ridiculous manner; if, while his eyes are blinking and before he has become accustomed to the surrounding darkness, he is compelled to fight in courts of law, or in other places, about the images or the shadows of images of justice, and is endeavouring to meet the conceptions of those who have never yet seen absolute justice? (Plato, Republic, VII). In confirmation of those wishes that seemed to have been carved in stone, again in 1945, organizations were created as independent of the IMF (International Monetary Fund), the World Bank, and the fixed exchange rate system based on the convertibility of the dollar into gold (gold exchange standard), and in the 1990s, the WTO (World Trade Organization) was established. Observing them today, the enunciation of those principles was based more on the hope of a better future than on the reality of the facts that already showed the incompatibility, at the time irreconcilable, between the ideological models - the Russian communist and the western capitalist - that were destined to clash once the social and economic equilibria that had given rise to post-war growth and to temporary social peace had been re-established. The need to think of a better future after the past dramas pushed human societies to write normative dictates and social guidelines that would once again turn into a cruel utopia. In this design, the individual “Res Publica” - individual states - would in time have had to tend towards the global sharing of a common good able to satisfy the individual common goods of the participants of that utopian vision. Soon, however, dreams gave way to the reality of confrontations and wars rather than sharing. In fact, the wars on the borders of the two empires - Korea, Cuba, the Middle East, Vietnam ... - generated a worsening of the opposing positions, fuelling the Cold War and closure to a constructive and non-destructive confrontation. However, that initial vision of peace and hope, especially in the Western world, helped generate the idea of democratic forms of governance inspired by republican principles and a return to the start of the “Res Publica” that was to be found in the new founding principles dictated by the rediscovered fraternity. The “Res Publica” theme has been fundamental, above all in the European thought starting from Plato and taken up again by Cicero who in his political treatise “De Re Publica” (I, 25, 39) defined “Res Publica” as a commonwealth, not just any aggregate of people, but a group of people linked by sharing rights and the protection of their own interests. The idea and the design of the commonwealth manifested precisely in the post-war years to give rise to today's states. But a “Res Publica” needs a “nomos” as a set of laws that regulate the interest of citizens to prevent society from falling prey to arbitrariness and the violence of individual and selfish interests in mutual conflict, as is the current state of human societies that have lost touch with their roots. The “commonwealth” requires not only rules but ethical goals and an “ethos” that is not only the place in which to live but also how to live in that state or commonwealth. The progressive and natural aggregation of different countries in a search for a global common good has over time changed the system of governance of individual countries to foster a collaborative and non-conflictual union at levels beyond the single “commonwealth”. These declarations of intent seem, today, to be mere illusions to the point that we should ask ourselves if there is still a compass able to govern not only the individual states but also the aggregate that gave rise to globalization that we could define “Res Global”. This “Res Global” today represents a totally asymmetric system to the hopes of world peace and original fraternity that had to constitute the fabric and the narrative to build a global common good and in fact contravenes the autonomy of individual “commonwealth”, or better, individual countries. The global governance towards which countries should have tended over time has in fact increasingly been defined as a cage in which to stifle fundamental human rights and the autonomy of individual countries, and de facto, a form of concentrated power in the country of reference of the western world, the USA, whose history is completely different from those of Europe. The construction of a global world that respects the rights of all has become the pure exercise of power built with both conventional and unconventional weapons. These utopian global organisms (“Res Global”) that were supposed to guarantee individual freedoms in a higher logic have become less and less respectful of the freedom of individual states (“Res Publica”), hypocritically ignoring reality up to declaring the first decade of the new century as the symbol of perpetual peace [1-10]. Today, in reading those declarations of intent, we remain dramatically baffled by a myopia that results in an unacceptable lack of historical consciousness and demonstrates the subjection of organs at the time created as independent to mitigate conflicts between states in a collaborative logic. The IMF and the World Bank have instead become instruments of oppression and denial of the universal human rights and freedoms declared in 1948 in the higher interests of a global power system that has no democratic legitimacy or representativeness that can justify the exercise of highly concentrated power, as Noam Chomsky defined, in a sort of hegemonic and supranational virtual senate that only responds to itself. A new "Leviathan" has been formed with the "Res Global" which affirms its power thanks to the fear generated by the evil empire, as Reagan called Russia. Thomas Hobbes the most modern all philosophers of human power describes the way in which power asserts itself: from weakness - or from the idea of a good world - danger arises, from danger, fear, from fear, the need for security, and from this the need for protection with an organization that becomes dominant in the affirmation of its interests, but the persistence of weakness and fear does not allow becoming aware of reality, and condemns men to increasingly take refuge in the "Platonic cave". Thus, the process of the concentration of power and the consequent position of subjection to “independent” global organizations began in 1971, and then increasingly and rapidly in line with the collapse of the Soviet empire. The gold standard was annulled in 1971, raising finance as an instrument of world governance, and the IMF and World Bank became instruments for implementing a governance policy that has increasingly intensified with the use of finance as an unconventional weapon. The transition to a condition of financial power came about thanks to the help of the Academy that negligently elevated the rationality of financial markets to an incontrovertible truth. So while Alfred von Hajek in 1974 condemned as non-science the drive to study economics (a social science) as an exact science, that only takes measurable facts into account, and ends up deliberately ignoring the unmeasurable facts that play a large part in economics, and economics then became a genetically modified science in the interest of those who use it for dominant ends. Exactly 20 years later in 1994, Nobel laureate Lucas stated the “absolute rationality of markets”, enslaving power with the recognition of a Nobel prize totally asymmetric to that of Hajek - the alpha and the omega - and the evident falsity of the facts created of finance an unconventional weapon and attributed to the US its cynical and disrespectful use towards the “Res Publica” parties that shamefully decided to turn their heads so as not to see. The US power in control of these supranational bodies was undisputed but exercised with clear determination also thanks to the occupation of the positions of power; the World Bank has always been governed by an American president and some have never hidden highly conflicting and dominant positions, Paul Wolfowitz above all. Before being named president of the World Bank in 2005, Wolfowitz had long been Secretary of Defence in the nineties to become the inspirer of G. W. Bush's foreign policy and one of the main creators of the war in Iraq. The wars for democracy have touched those who, defined as cruel dictators, were more tied to the petrodollar system, but also threatening it: Saddam Hussein, Gaddafi, Assad, and now Maduro and before him Chavez. As such, they had to be fought thanks to the Bush doctrine of rogue states that as Derrida and Chomsky observed are those countries that disturb the hegemony of the strongest. "Now the United States - who claim to be the guarantors of international law and take the initiative of wars, police or peacekeeping operations because they have the strength to do so - those same United States as well as their allies in the aforementioned actions are as sovereigns the first “rogue states”. The "Res Global" becomes the exclusive power of a superior entity that commands in its interests, even at the expense of the global community that has become a succubus. Unfortunately, Europe is a dramatic example similar to the chickens that Renzo Tramaglino brought as a tribute to Azzecca-garbugli in "The betrothed" of Alessandro Manzoni, described as “those poor creatures, so bound together, and held by the feet with their heads downwards, in the band of a man who, agitated by so many passions… and caused those four pendent heads to bob violently... they, meanwhile, vigorously applying themselves to peck each other, as too often happens among friends in adversity”. This seems to depict Europe today that under dominion accepted for fear becomes a war between chickens without thought. Thus, never as in this historical period have we witnessed such a total lack of global governance that respects the equilibria of individual countries but is used in a systematic and arbitrary way by the strongest against the weakest that see their sovereignty or “Res Publica” damaged, as the spirit of a representative democracy should define. Finance erected to incontrovertible truth despite the obvious evidence of falsehood began to erode the sovereignty of individual countries by issuing judgments on sovereign debt lacking a scientific basis but used in a despotic manner and detrimental to the autonomy of the choices of individual local governments. The last demonstration of the defence of the Italian “Res Publica” was the clash in Sigonella between Reagan on the one hand and Craxi and Andreotti on the other, the consequences of the positions taken by the two politicians ensued in the nineties when the end of Russia elevated the US to dominant world power by deluding everyone once again that the arrogance of power becomes the exercise of dramatic euthanasia, as highlighted by the social degradation of that country [11-16]. The “exporting” of democracy has become a hoax that too many continue to endure passively, so in those countries where there should have been democracy today there is only death, desolation, and the impossibility of living there. 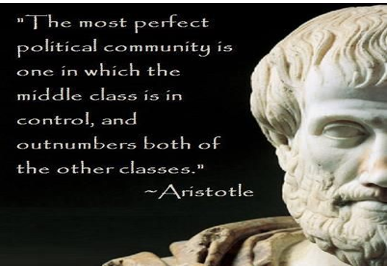 The socio-cultural model of infinite power without moral limits has created the greatest inequality in history in a global world that has become a hellish trap. A power has been created without limits and without apparent responsibility; but it cannot be a power without responsibility. The drama of refugees as the subject of daily and endless discussions seems incapable of dealing with the hypocritical complexity of a governance system that is totally shattered; the geopolitical balances over time have changed and no longer allow the exclusive use of power in its various forms but generate an unstable confusion that ends up becoming the expression of an inability to think that leads to stupidity. The debate on the dignity of people has been replaced by the value of people who become indefinable, and the drama of refugees, if not properly solved, will generate others. If, paradoxically, we decided to welcome all refugees, we would create two dramas: an excess of people in already weak housing contexts and the lack of work where it would have to be created. The people arriving have left countries that have lost the role of “Res Publica” to come to one in which the “Res Publica” has been stifled by the “Res Global” as the deadly dance of the numbers of finance shows and is increasingly evident in its instrumental use; rethinking the sense of a global world is the challenge of survival on this planet. The brutal truth is the failure of governance but particularly a ruling class at all levels unable to renew itself in men and ideas, devoid of creativity and courage, and hostage to superior and dominant interests they never wanted to counteract, always to the detriment of the poor [16-21]. As always in history, man never wants to look at the truth, held back by the fear of seeing how different it is from the one he imagined in a way closer to his eternal need for security and reassurance, but in this way inhibiting creative thinking and the desire to understand the affairs of the world. In this sense, the allegory of Plato's cave mentioned at the beginning is infinitely actual, because man never changes, eternally struggling with his emotions oscillating between aggression and love. Do those in charge of governing public affairs have an awareness of the responsibilities they are invested with? Is the principle of accountability reflected in the exercise of their functions or is it totally ignored? Do those who make vital decisions for the survival of man have the necessary knowledge to carry out this activity and the humility to understand the difficulties that impose the duty to be morally irreprehensible? Are our young people educated in this logic or abandoned to the void of daily life without moral reference points? All these questions that Romano Guardini posed in various ways in his splendid book “The End of the Modern World” published in 1950 are always there to show that thought, the one that goes deep, never denies those who can read history over the long time that constitutes it, “The greater a man’s power, the stronger the temptation to take the shortcut of force; the temptation to nullify the individual and his freedom, to ignore both his creative originality and his personal truth; to achieve the desired end simply by force dismissing what cannot be forced as not worthy of consideration – in other words, the temptation to erect a culture on rational and technical foundations alone. To this end, man himself must be considered something “marketable” something that can be “managed” from the start to certain ends. Even spiritually man is malleable, once dialectics and mass-suggestion, propaganda and Weltanschauung or historical perspective, even legal testimony are undertaken not with respect for truth, but to support predetermined ends”. If Western society cannot find the right way to respond to the many problems that are strangling it, then it means that from a creative point of view it has nothing more to say. The responsibilities are always individual, but we have all, albeit in different ways, contributed, for convenience, interest, negligence, lack of courage, acceptance of these behaviours, and all, each in their area of responsibility, should choose what is right and what is wrong in respecting man as a person. We are not condemned to repeating history, it is up to us to decide our destiny, and we cannot pretend that this depends on the evolution of natural phenomena or divine will. As conscientious beings, it is up to us to take our responsibilities upon our shoulders, we must decide whether to let ourselves be caught up by our aggression and plunge into the abyss or try to complete the unique and creative mission that has been entrusted to us in this world [22-24]. On the Common wealth and on the laws, Cambridge University Press, 1999. Etica Nicomachea [Nicomachean Ethics]. Bompiani: Milan. 2000. Chomsky N. Failed States: the Abuse of Power and the Assault on Democracy. Il Saggiatore: Milano. 2006. Guardini R. The End of the Modern World. Morcelliana: Brescia. 1954. Keynes JM. The End of Laissez Faire. MacMillan Publishers: London. 1923. Keynes JM. Essays in Persuasion. MacMillan: London. 1933. Pezzani F. Cooperative Competition. Egea-UBE: Milan. Pezzani F. The Nobel Prize for mythical finance and Colombo’s egg. Bus Econ J. 2016. Pezzani F. Independence day and forgotten equality. Bus Econ J. 2016. Pezzani F. The gold exchange standard and the magic trap of paper money. J Accoun Finan Audit. 2017; 5: 23-32. Pezzani F. Once upon a time in America and the end of the American dream. Journal of Socialomics. 2017. Pezzani Society the foundation of the economy. We need a socio cultural revolution. Scholar’s Press: Germany. 2017. Posner R. The crisis of capitalist democracy. Egea-UBE: Milan. 2010. Prigogine I. La fin des certitudes. Temps, chaos et les lois de la nature. Odile Jacob: Paris. 1996. Putnam R. Social capital and individualism. Il Mulino: Bologna. 2004. Russell B. The scientific outlook. Laterza: Rome-Bari. 2009. Sigmund F. The Discomforts of Civilization. Bollati Boringhieri: Turin. 1971. Sigmund F. The Future of Illusion. Boringhieri: Turin. 1971. Sorokin P. Social and cultural dynamics. Utet: Turin. 1941. Sorokin P. The Crisis of our age. EP Button & Co: New York. 1941. Toynbee AJ. Civilization on trial. Bompiani: Milan. 1949. Toynbee AJ. Mankind and mother earth. Garzanti: Milan. 1977. Vico G. La scienza nuova [The New Science]. Napoli. 1725. Zygmunt B. Liquid Life. Laterza: Bari. 2005.